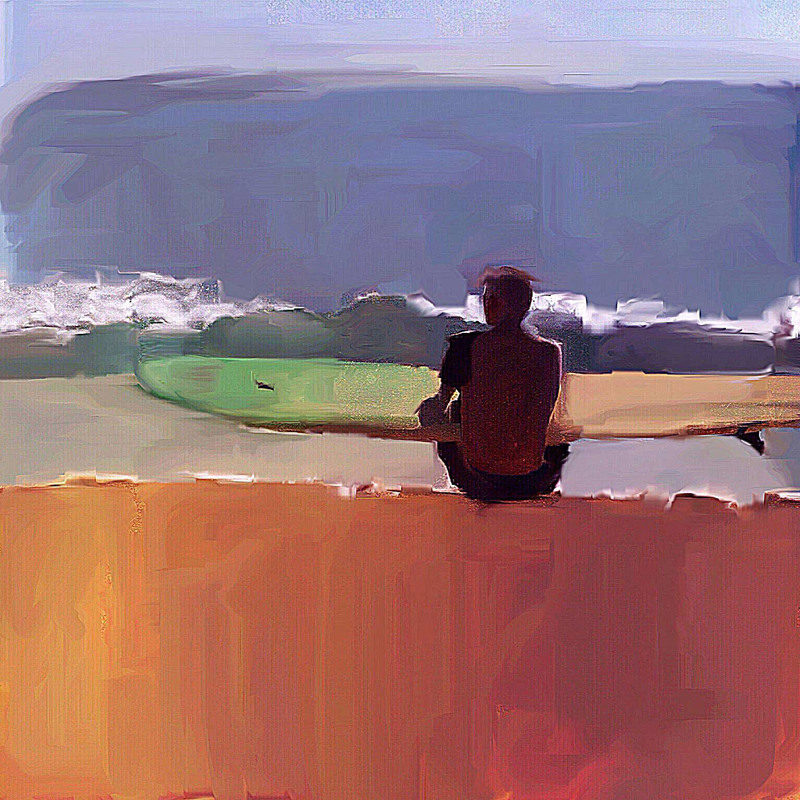 A tired surfer sits on the beach, watching the sets and other surfers. August 2013, Kaimana Beach, Waikiki, Oahu, Hawaii. Photographed using iPhone 5 and Oggl, adjusted in Snapseed then hand-painted on the phone using Pixel Blend and iColorama. Want to see more? Keep up with new work by clicking the "Follow" button found below. Also, if you like this work, I would be grateful if you would click "Appreciate."